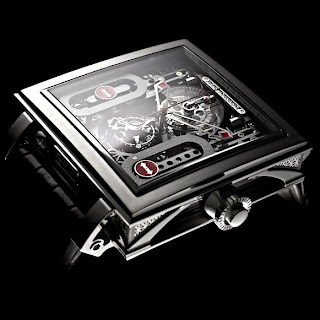 The talk of last year's BaselWorld was the Palace by Jean Dunand. The Palace was inspired by a handful of global landscapes, structures and even a raceway or two to create one of the most complicated and impressive timepieces in the world. It features a flying tourbillon at the heart of the timepiece, and even the chain that drives it is designed to look like that of one on a vintage motorcycle. This eclectic and amazing watch can also be customized to your every whim. The Jean Dunand Palace is as impressive and luxurious as a timepiece can get.